*This short week has really messed me up! I've been a day off everyday. *I have almost made it through my first week of summer with the kids. We have had friends over daily, and really it makes it so much more fun! * I just ordered this dress from Nordstrom. Get this, I ordered it from the juniors department! $58.00 and free shipping bring it on coral tie dye! * I am heading out of town @ lunch time on Friday for a weekend bachlorette party! Hot diggty dog I am excited! I will be living it up with all my old high-school girls! We plan to lay out, dine out, and I am pretty sure knowing this crowd, we will be dancing it up all night! 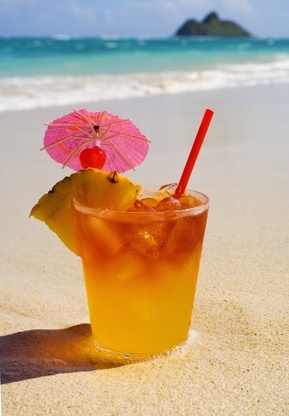 Cant wait to sit on the beach kid free with one of these in hand. *Today I have a sitter. No real plans though besides the gym. Thinking I may go pick up some pretty flowers. 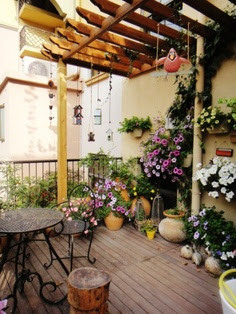 This deck is just dreamy, and has me wanting more flowers around outside! That picture trips me out, I love that Sterling is in his undies! I am telling you summer won't be too bad! Enjoy your sitter! Have fun today and a blast this weekend!!! We need to coordinate one of our sitter days together! I must order that dress! So stinking cute and perfect for summer days!! !